Jimmy Lockett thought he was born in Louisiana but discovered he was born in Memphis when he applied for his state photo ID. Pamela Moon came to the Sweetwater Mission in Austell, Ga., to meet with Spread The Vote volunteers and get help with obtaining a government-issued photo ID. 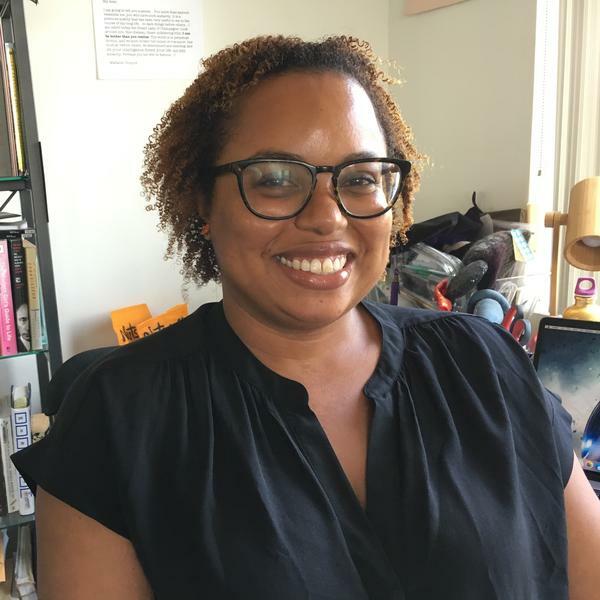 Kat Calvin founded Spread The Vote. Nearly three dozen states require voters to show identification at the polls. And almost half of those states want photo IDs. But there are millions of eligible voters who don't have them. A 2012 survey estimated that 7 percent of American adults lack a government-issued photo ID. While some organizations have sued to overturn these laws, a nonprofit organization called Spread The Vote has taken a different tack: It helps people without IDs get them. And people over 50 years of age have presented some of their biggest challenges. On a recent Tuesday morning in Austell, Ga., 53-year-old Pamela Moon tried to get a replacement for an ID she had lost. She worked with a Spread The Vote volunteer at the Sweetwater Mission. The group sends volunteers to the mission every other Tuesday, so that people who come for food and clothes can get help obtaining a Georgia ID at the same time. Georgia is one of seven states with particularly strict voter ID requirements, which demand that voters show a government-issued photo ID in order to cast a ballot in person. Advocates for voter ID laws argue that showing identification at the polls reduces the incidence of voter fraud, although studies have repeatedly shown that in-person voter fraud is extremely rare. Moon never had a driver's license. "I can drive," she said, but she never got her license, "'cause I can't afford to buy no car." Bill Cox, a volunteer for Spread The Vote, told Moon she needs a birth certificate to get a replacement ID. She lost that, too, she said. "We will help you get that," Cox told her. "We will pay for it." This is a relief for Moon. 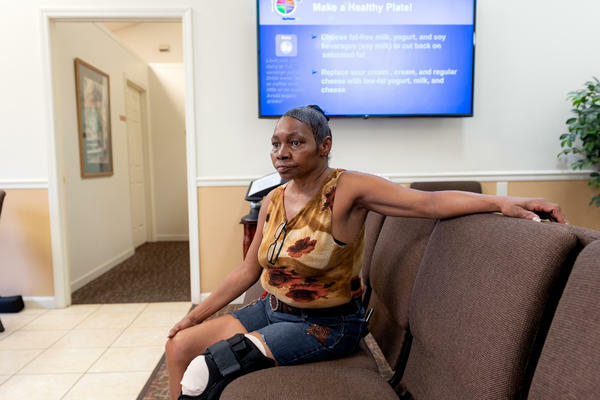 In Georgia, the cost of a birth certificate and a photo ID is $57 and she lives mostly off her disability benefits. In fact, studies show that most people who lack official state IDs are low income and they have more urgent concerns than just voting. Kat Calvin, the lawyer who founded Spread The Vote, says she learned this the hard way. "We were going around canvassing with ...voter [registration] groups," said Calvin. They'd knock on doors or approach people at bus stops. But Calvin quickly figured out that the request seemed invasive and that they were "terrifying" people. "We realized, oh, nobody knows us, they don't trust us. So we realized this will only work if we work with someone that the people we're trying to reach trust." The group also has chapters in Florida, Tennessee, Texas and Virginia, all states with voter ID laws and partners with organizations like Sweetwater Mission that deal with their clients' most basic human needs. Calvin says "then when we talk to them about voting, they're going to be much more open to it." Studies show that the people who are most likely to be prevented from voting by ID laws are not only low income, but also African-American or another racial minority. That has been true of the roughly 600 people that Spread The Vote has worked with. Another statistic about the people the group has helped: About 40 percent of them are older than 50. Calvin said those voters often present special challenges. "If you are elderly and you were born in a rural area [or] born during Jim Crow, you may not have ever gotten a birth certificate." At Action Ministries in Atlanta, another Spread The Vote partner, volunteer Billie Remsa says she has mainly helped older people. And she says that one of the obstacles they face is that "most of them don't drive anymore. So taking four buses to go downtown so that they can get their picture ID, these require funds. They don't have them." So in addition to paying for documents, the group drives people to where they need to go to get them. Another complication that affects mainly older women is the name changes that come with marriage and divorce. Fallon McClure, head of Spread The Vote in Georgia, explains that the state wants documentation for every single name-changing event. "We've had people that, for instance, didn't know where one of the divorces occurred," says McClure. "So how do you get a divorce decree if you don't even know what county to look for it in?" Even things that people are sure they know about their history sometimes turn out to be wrong. Jimmy Lockett, 54, grew up in Louisiana and assumed he'd been born there. "Come to find out I was born in Memphis," he said. 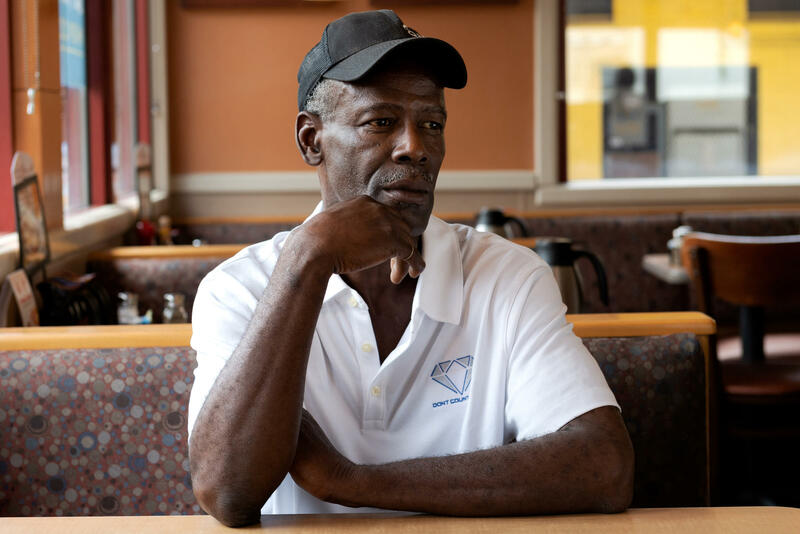 Lockett spent 30 years in Atlanta "running the streets," as he put it — panhandling, doing drugs and working odd jobs off the books. It was the only kind of work he could get without an ID. He hadn't had one in decades. Now he does. It's hidden like a precious jewel deep in his pocket. He can barely dig it out to show it off. "I keep it so nice and tight and tucked away," said Lockett. The ID has helped Lockett turn his life around. He now has a steady job and housing. He has been sober for more than six months and is looking forward to voting for the first time ever. "I'm very proud of that," he said. "I used to be nothing. But now I got a goal, I got a goal to try to achieve." He has a goal to continue changing his life. He also has a goal to vote and maybe help change the world just a little.